One of our certified wellness professionals will show the new member how to use the strength and cardio equipment. In addition, the member will receive a log book to record this information and track future workouts. The new member will meet with one of our Certified Personal Trainers to discuss their goals and set timelines. The trainer will make recommendations for exercise programming based on this information. The new member will receive an initial assessment that includes Anthropometric Measurements as well as Resting Heart Rate, Blood Pressure , Body Composition Analysis, Strength, Cardiovascular Fitness and Flexibility to determine where they’re starting from. And regular assessments to monitor progress will be included in the membership. One of our Personal Trainers will be assigned to the new member as their personal coach. The coach will contact the new member weekly for the first 3 months to provide support, motivation and guidance as they pursue their goals. After the first 3 months, if the member’s frequency decreases, the coach will be there to help them get back on track. 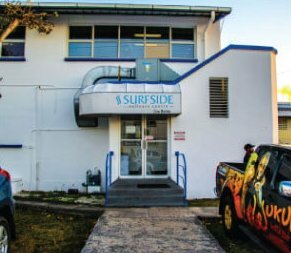 Surfside Cash may be used for personal training, specialty classes, pro shop items, juice bar or drop in fees for using the other location. The new member will have access to a variety of classes. The class categories include strength, muscle toning, aerobic fitness (Zumba, spin), Pilates and yoga. The new member may distribute these passes to friends and/or family members that have not been to Surfside.